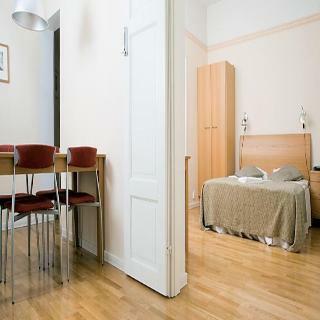 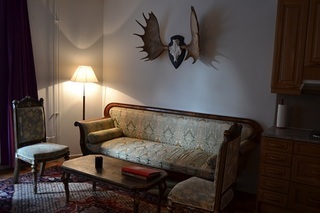 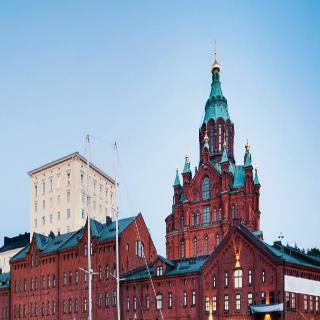 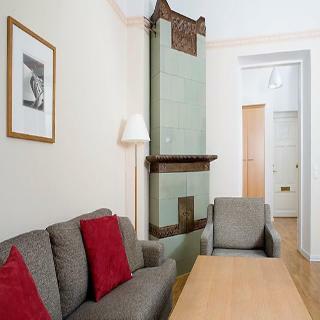 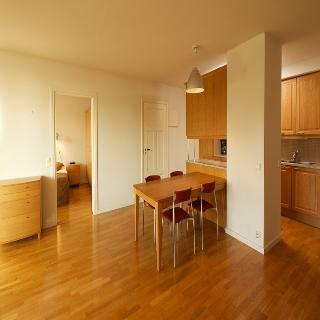 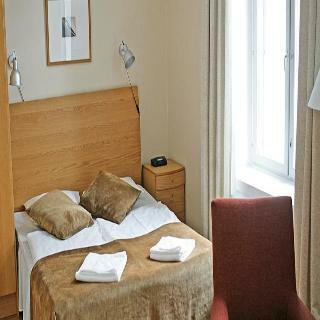 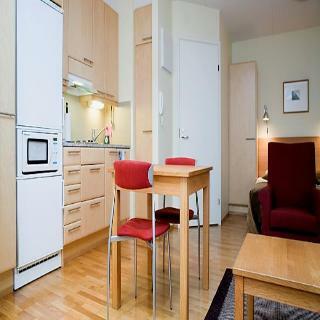 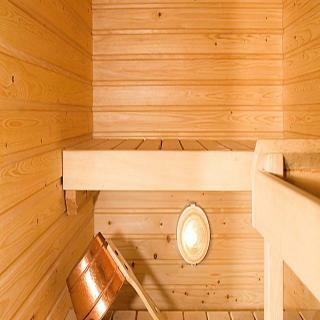 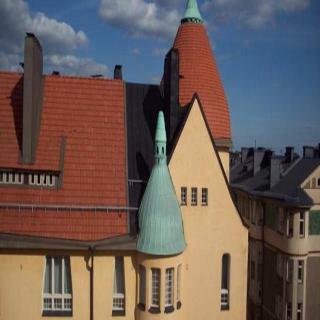 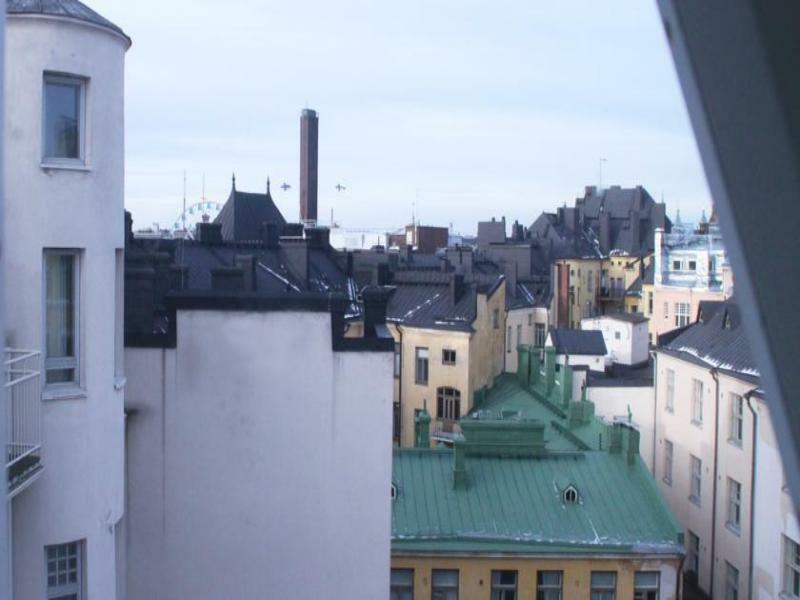 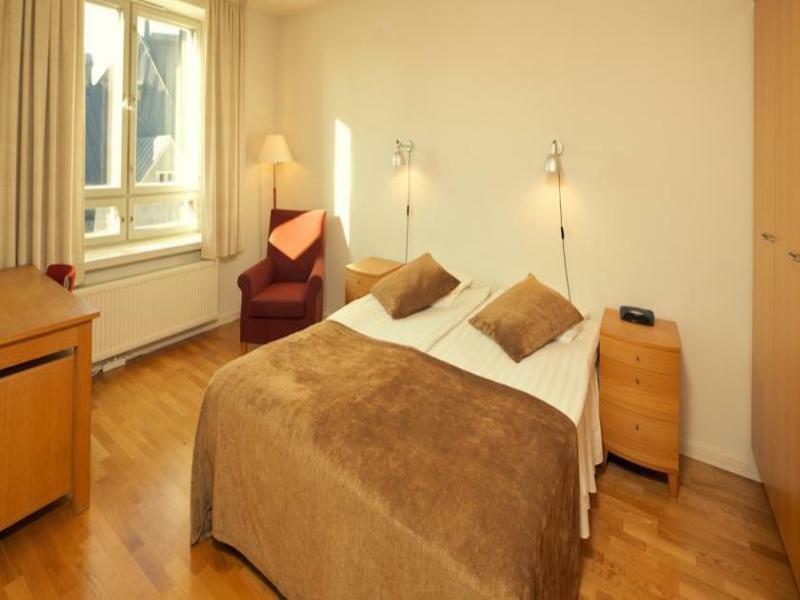 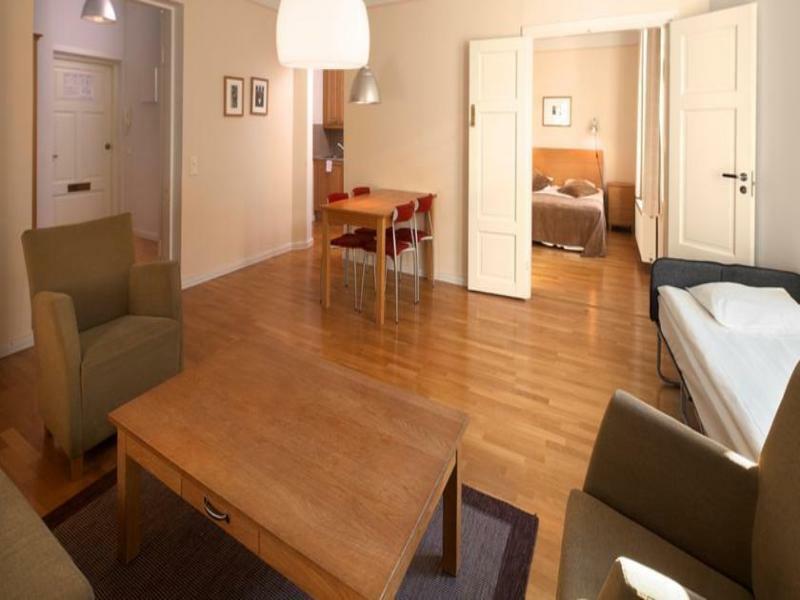 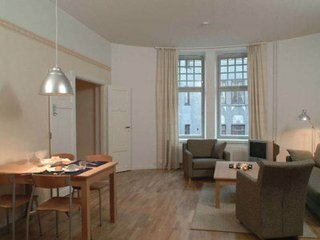 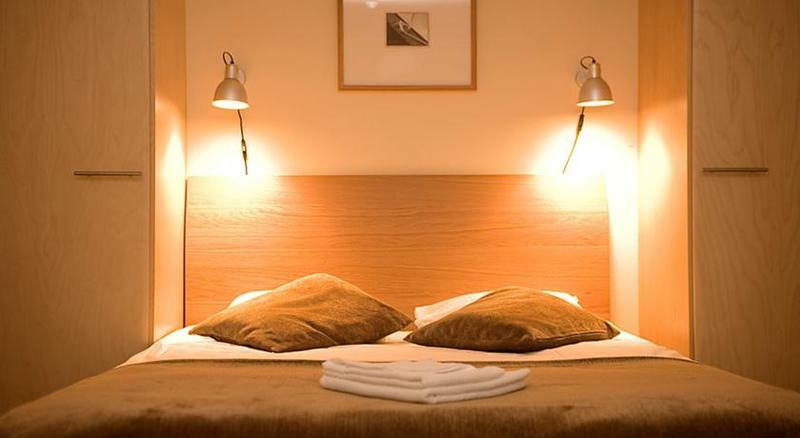 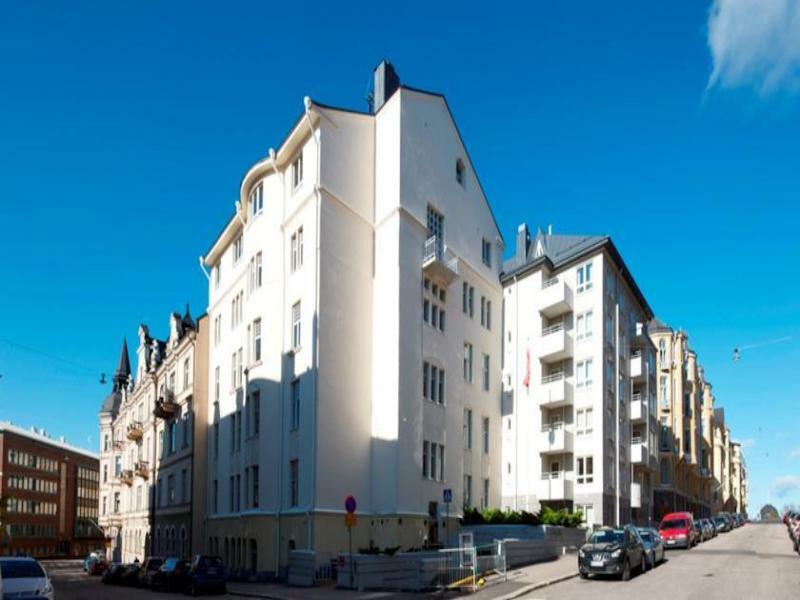 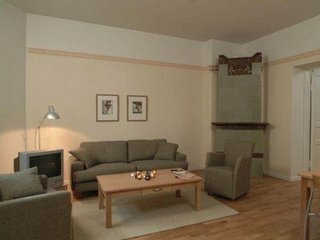 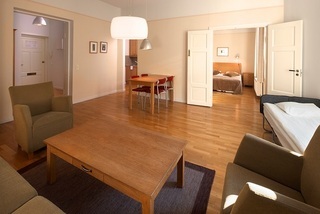 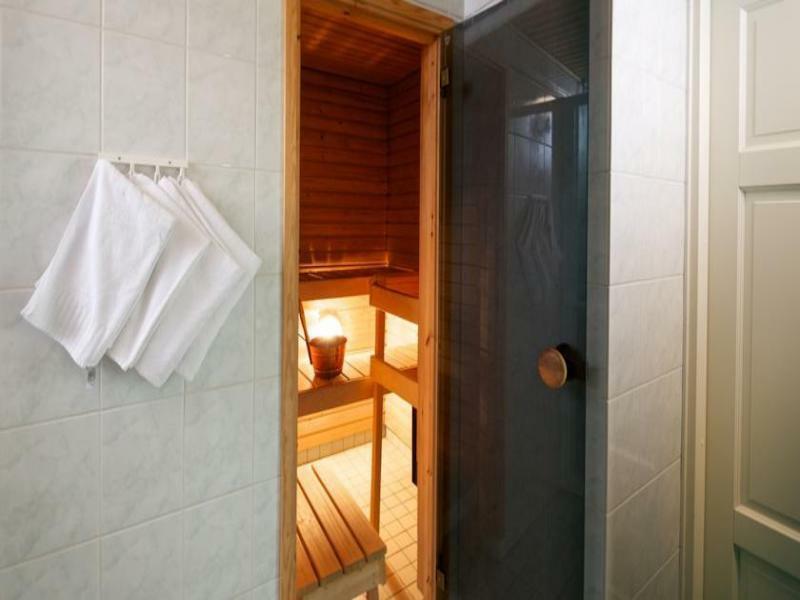 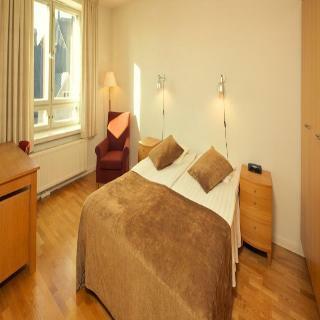 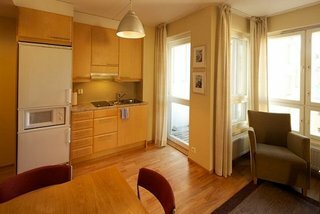 The hotel is located in the heart of Helsinki, in the city's exclusive Katajanokka district. The district is surrounded by water and lies only a stone's throw from the centre and its sights. 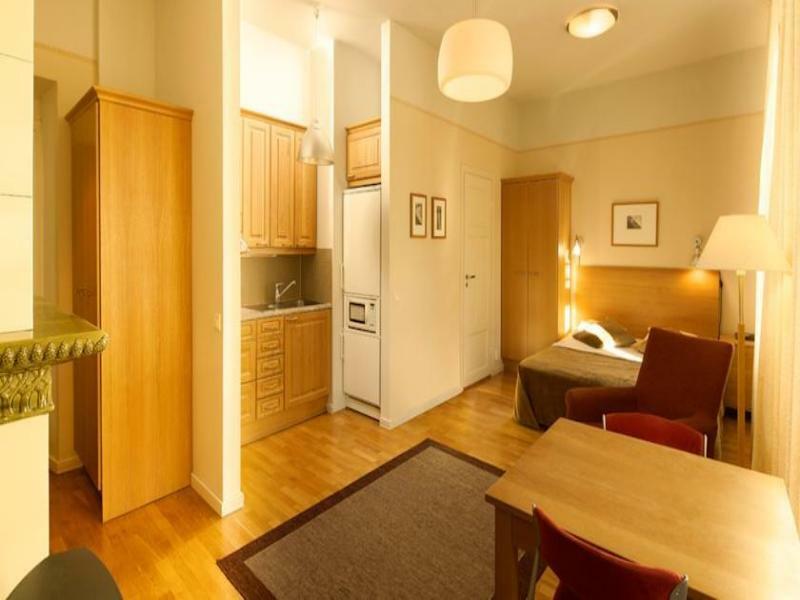 Shops, restaurants, cafés and cinemas are only a few paces away. 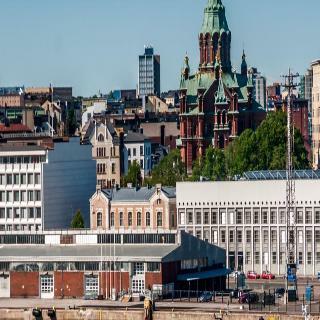 The ferry to Tallinn and Sweden makes a stop in Skatudden. The airport is approximately a 30-minute drive away from the hotel. 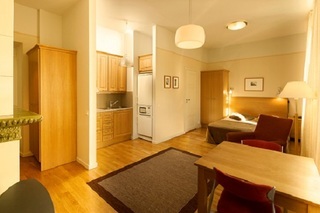 The hotel comprises, in 2 buildings, a total of 52 lodgings, of which 37 are apartments, and 15 are studios. 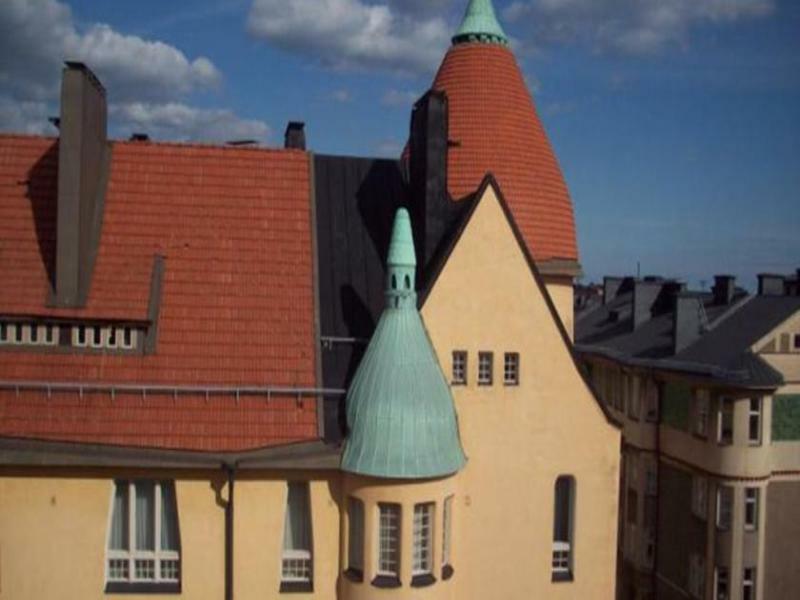 The main building, in Art Nouveau style, includes a 24-hour check in and Internet access. 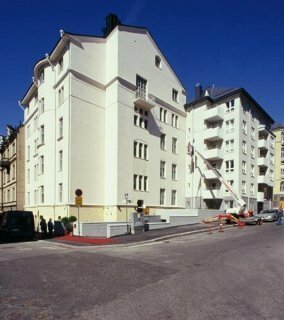 Furthermore, both buildings offer lift access. 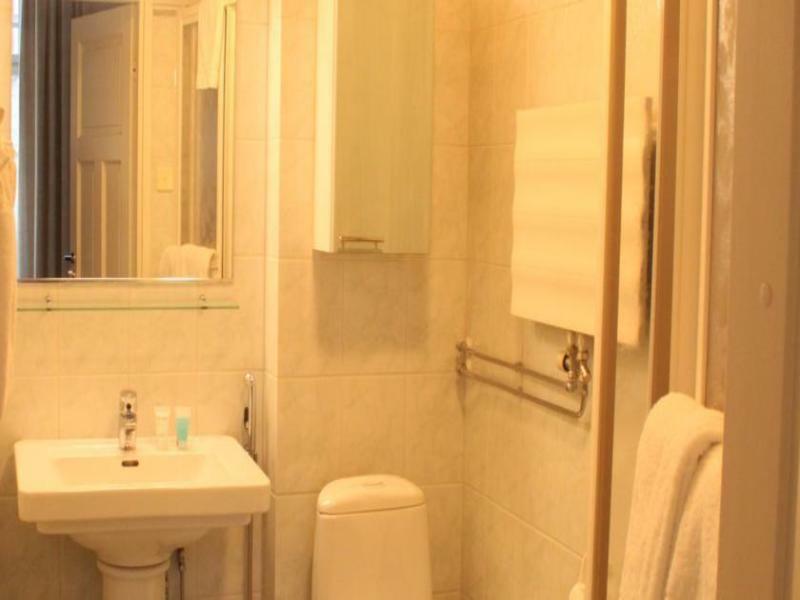 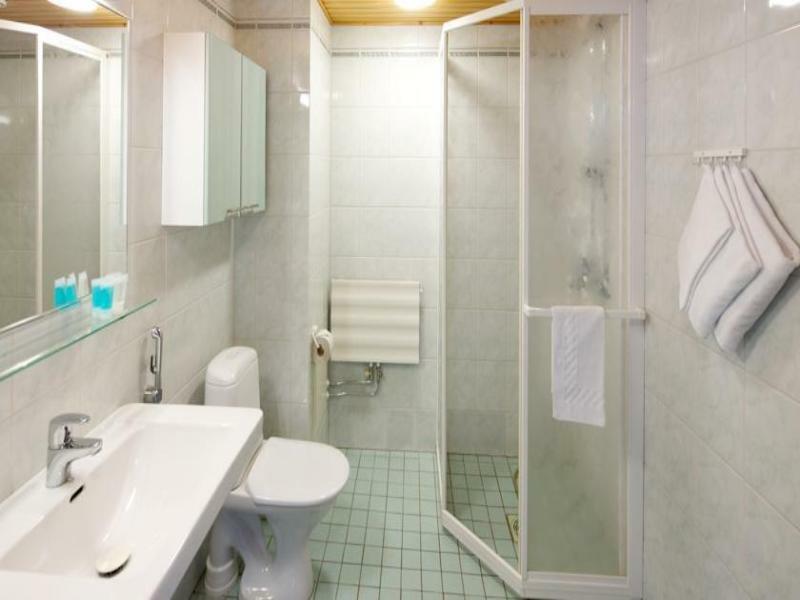 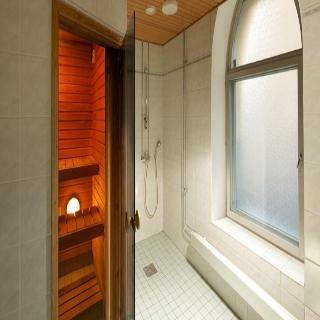 The lodgings are spacious and all come with an en suite bathroom. 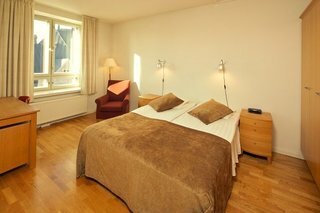 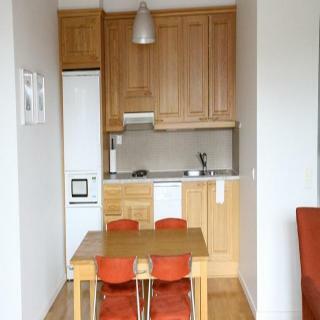 The rooms are well-equipped and furnished. 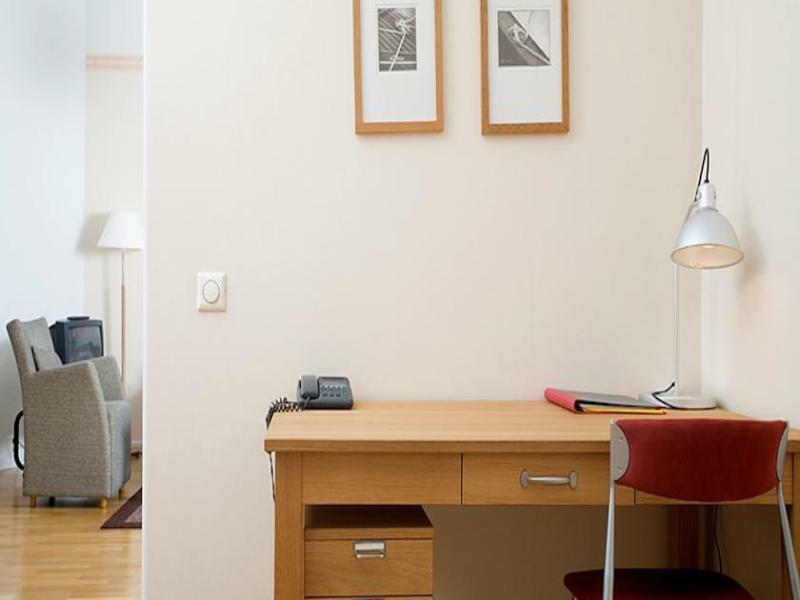 Further fittings include a direct dial telephone, cable TV and an Internet connection.